Brad gives a special live performance of ‘My Miracle’ on Good Morning America, click HERE to watch! Watch Brad & Kimberly discuss the ground breaking of ‘The Store’ – click HERE. Brad Paisley will be heading out on his just-announced 2019 World Tour this Summer, which kicks off May 30 in Albuquerque, New Mexico, and runs through Oct. 13 in Dublin, Ireland. Special guests on the U. S. tour dates will be Chris Lane and Riley Green. Lane will also join Paisley on the European dates. Additional 2019 tour dates will be added soon. 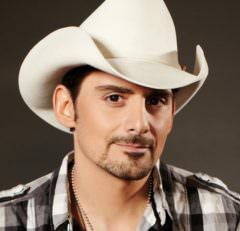 Tickets for all dates are available now at bradpaisley.com. Boot Barn®, America’s largest western and work wear store, is rolling out their exclusive Moonshine Spirit by Brad Paisley line in stores across the country and online at BootBarn. Moonshine Spirit by Brad Paisley blends Boot Barn’s western heritage with a modern, country music edge. Aimed at males aged 18-40 seeking clothing with a modern fit, Moonshine Spirit by Brad Paisley features both casual and dressier merchandise, including boots, shirts, jeans, cowboy hats, T-shirts, ball caps, accessories, and a leather jacket. Prices range from $20 for baseball caps to $299 for the leather jacket.